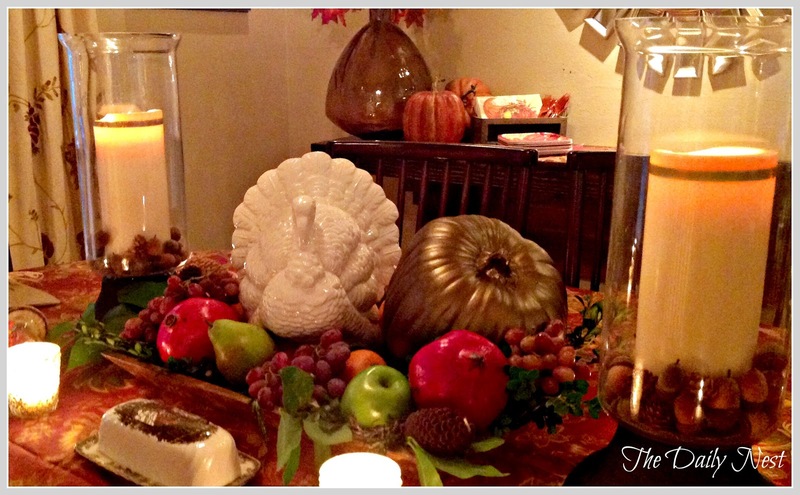 With Thanksgiving right around the corner, it has me thinking of entertaining! Although I'm not having Thanksgiving this year at my house, I still love to entertain during the holidays. 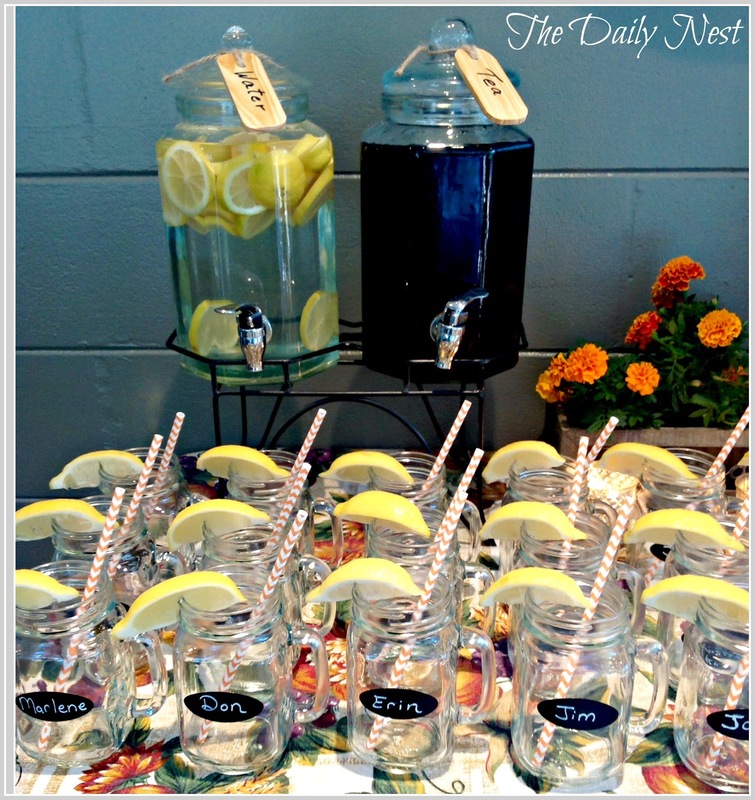 So I thought I would put together a few tips that I've learned through the years to make your entertaining as relaxed and stress free as much as possible. Because there's nothing worse than being an anxious mess, and not being able to enjoy your guests! First off, start with a beautiful and comfortable table and chairs. That way your guests can linger and talk and not feel uncomfortable. I prefer a round table, because it makes for easier conversation. When you're entertaining it's important to have a beautiful centerpiece. But you want to keep in mind the height of your arrangement. There's nothing worse than sitting at a table and not being able to see the person across from you. I love to use fresh cut flowers or cuttings from your yard. 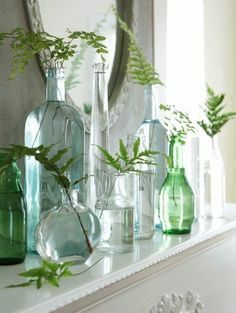 Cut holly and place in several clear vases for an easy centerpiece. For Thanksgiving I've used fresh herbs in pots. 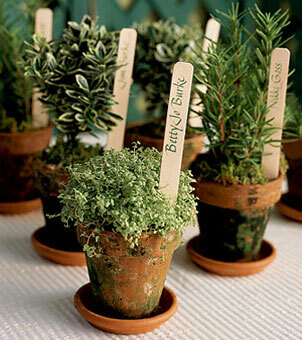 Then after the holiday I have herbs ready to use! 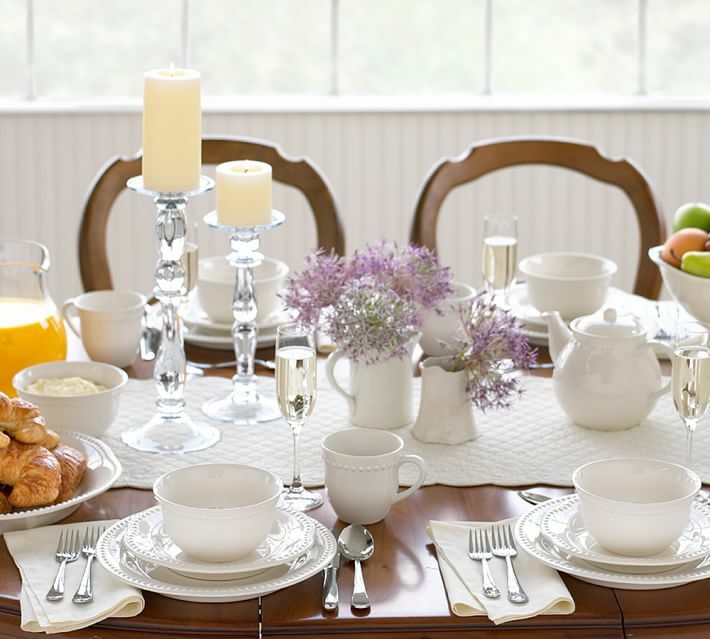 Don't feel like you need fancy china to set a beautiful table. I like simple white china. It's been my go to for years. I think every bride should register for white dishware. And you can find beautiful inexpensive dishware at Target or Walmart. Then you can build from that. Adding colorful chargers, and change up your glassware. White is a great starting point! Next is great lighting! This is a very important part of setting your dining mood! 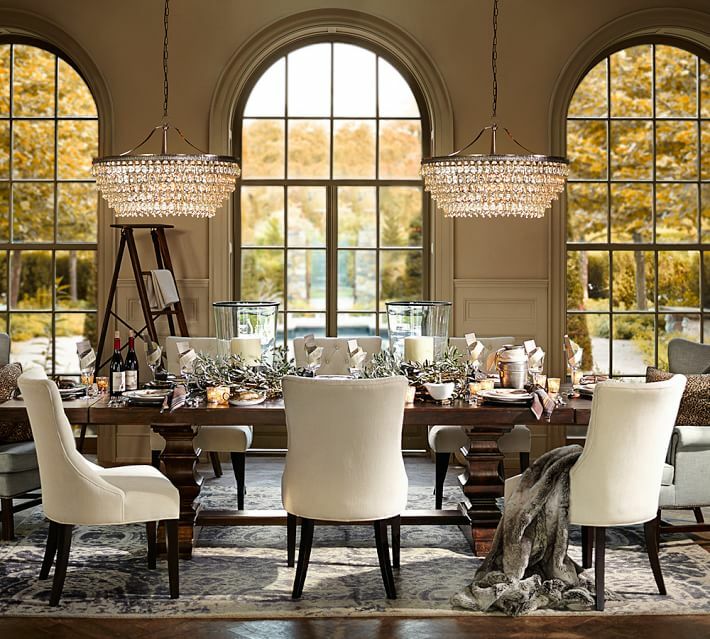 A beautiful chandelier above your table creates great ambiance for your guests. Also, make sure it's on a dimmer! No one wants to sit under a glaring light! And as a bonus it makes all your food look even more appetizing! And last but not least, good music! Have you been to those dinner parties when no music is playing? It can make for some awkward silence to say the least! I have Pandora, and I set up a good smooth jazz station for relaxing music that still allows for conversation. 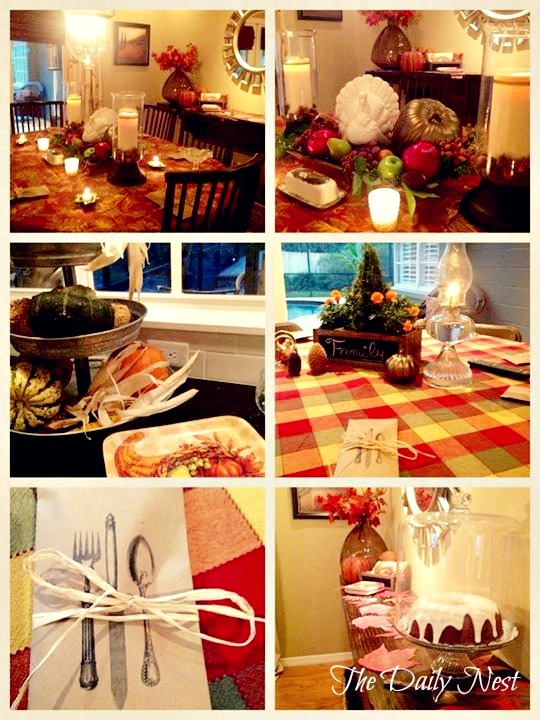 Here's a few pictures of my Thanksgiving table and decor from last year! So light some candles, serve some great food and enjoy time with family and friends! Because that's what it's all about! !